Safeguard your valuables against theft, water, and fire with the First Alert 2092DF Waterproof and Fire-Resistant Digital Safe. Featuring a capacity of 1.31 cubic feet, this waterproof safe offers enough space for your money, electronics, and other precious belongings. With a capacity of 1.31 cubic feet, the 2092DF Digital Safe offers ample space for your jewelry, money, documents, and other valuables. The safe is also verified by an independent testing lab to protect CDs, DVDs, external hard drives, and other electronic media from fire damage. An adjustable storage shelf and a key rack ensure quick-and-easy access to stored items. Crafted from durable composite, the 2092DF Digital Safe features patented pry-resistant concealed hinges that make entry by crowbar difficult. Four live-locking door bolts provide additional security by firmly locking the door in place. A programmable electronic lock allows you to select your own three- to eight-digit code for access to the safe. The lock will disable the keypad if an incorrect code is entered too many times. are included and store inconspicuously on the safe’s exterior, allowing you to access the safe should you forget the combination. This fire-resistant safe has been independently verified by Underwriters Laboratories (UL) to withstand external temperatures of up to 1700 degrees Fahrenheit for up to one hour while maintaining an internal temperature of less than 350 degrees Fahrenheit. 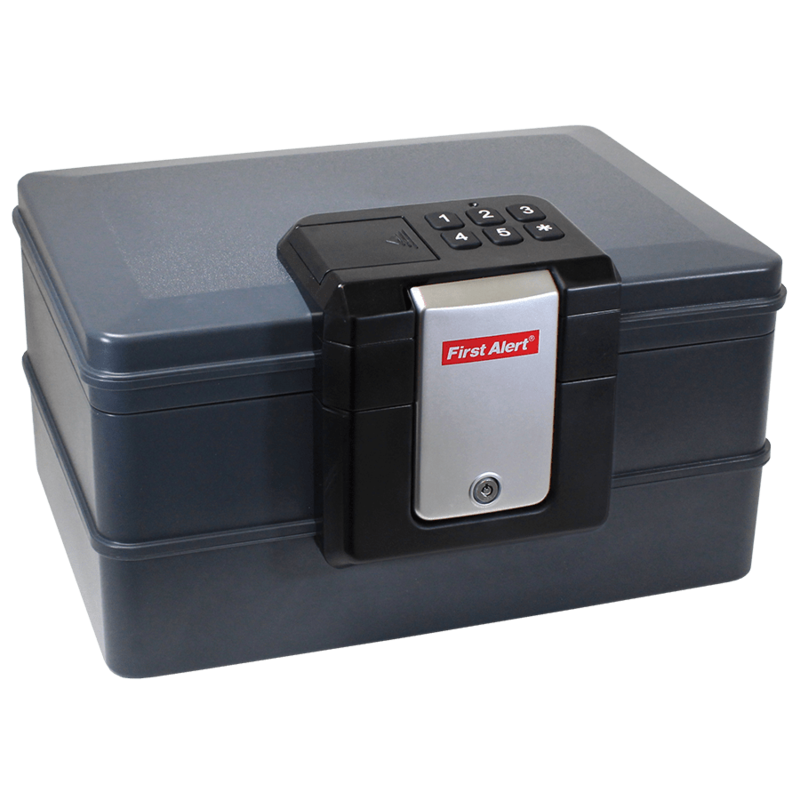 Featuring a protective waterproof seal, the 2092DF Digital Safe is designed to protect important documents, electronics, and other stored items during a flood. The safe is also designed to float, so it is easy to locate during a flood.